Steve Picataggio, a South Florida native, first experienced music in a local music camp at the age of 10. Throughout middle and high school, Steve fully emerged himself in music by taking part in classical percussion, marching drumlines, musicals and big band jazz ensembles. By the end of high school, Steve knew he wanted to be a jazz musician and decided to study with world renowned jazz drummer, Danny Gottlieb, at the University of North Florida. While at UNF, Steve performed with such guest artists as Joe Lovano, John Pizzarelli and Terence Blanchard. In 2011, Steve Picataggio moved to New York City to pursue a career in music and his master’s degree at New York University’s Steinhardt School of Music. 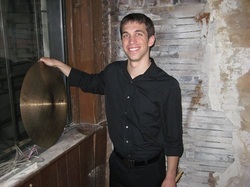 A recent grad from NYU, Steve studied and was mentored by Billy Drummond, Martin Wind and Ralph Alessi. Since moving to New York Steve has performed as a sideman at The Bar Next Door, The Iridium, The Blue Note, Cornelia Street Cafe and The Kitano. As a leader, Steve recently went into the studio to record his debut record, featuring original compositions and arrangements alongside Mike Rodriquez on Trumpet, Martin Wind on Bass, and two up and coming musicians, Joe Alterman on piano and Daan Kleijn on Guitar. Steve Picataggio strives for staying in the moment of the music no matter what the situation and allows his honest feelings to come through the drums to give his audience something to truly enjoy.